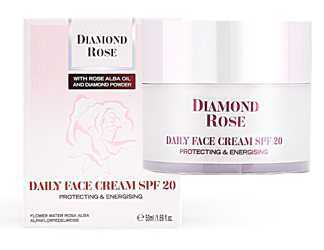 The airy emulsion provides care, comfort and expert protection of the skin of the face during the day. the other enviromental stress factors. neutralizing the damaging free radicals. FLOWER WATER ROSE ALBA - 100% pure distilled rose water obtained from fresh Rosa Alba blossoms. it is also rich in biologically active substances. BLACK CAVIAR EXTRACT - rich in Omega-3 fatty acids, carotenoids, proteins and vitamins D, B2 and B12. It has nourishing, anti-inflammatory and energizing action. ALPAFLOR EDELWEISS - an extract from edelweiss plants organically cultivated in the Swiss Alps. It improves the skin resistance to UV radiations and the other enviromental stress factors. Aply every morning using light circular motion on well-cleaned skin until fully absorbtion.